There is always hope and promise! The Lord God announces through the prophet that, in spite of His people, He would again do marvelous things—wonderful and marvelous things—that would confuse the wise and discerning. 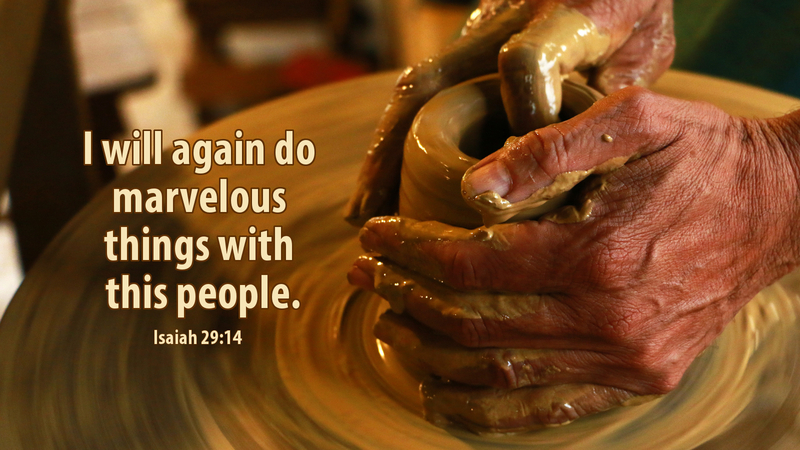 Can God not do marvelous things? Is God limited by natural biological process? Can God only do ordinary, common-sensical things? Can God raise a person three days dead? We run to the manger, not with reason and rationalizing, but with faith—faith in the God who does marvelous, wonderful things! Prayer: We give thanks for the miracle of Jesus’ birth, O God, and pray that you give to us, always, eyes of faith. Amen. Advent Action: List two or three wonderful, marvelous things God has done in your life, and pray a prayer of thanksgiving.